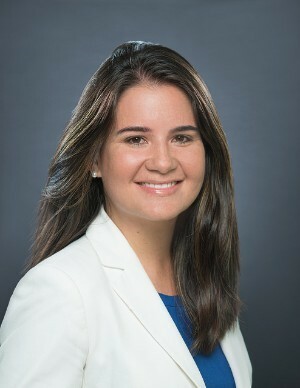 María Carla Chicuén has been appointed to lead FIU’s CasaCuba, an initiative that will harness the university’s scholarly assets to build a leading center to promote global understanding on Cuban affairs and culture, through education, discussion, research and the arts. Chicuén comes to FIU with prior experience in the education sector, specializing in community initiatives and strategic partnerships. She earned a Bachelor´s Degree in History from Harvard University, and a Master’s in International Relations from the London School of Economics. Before coming to FIU, Chicuén led special projects in the Office of the President at Miami Dade College. Previously, she was an education consultant at the World Bank in Washington D.C., and at the Inter-American Development Bank in Panama City, Panama. “I am honored to join FIU and lead an initiative that will consolidate the University’s already prominent work in Cuban studies. Through CasaCuba, I am excited to engage the community to promote an even greater understanding of Cuba and preserve our extraordinary legacy for generations to come,” said Chicuén. Chicuén is leading an effort to raise funds to build a 50,000-square-foot facility on FIU’s campus. The Knight Foundation has supported the CasaCuba initiative, including awarding a grant last year that provided seed funding. The space will serve as an area for community engagement, state-of-the-art exhibits and resources for students, scholars, policymakers and professionals from a variety of fields. FIU already has significant resources related to Cuban genealogy, art, history, music and law, such as the Darlene M. and Jorge M. Pérez Art Collection at FIU and the Díaz Ayala Cuban and Latin American Popular Music Collection. Chicuén is holding community conversations to receive input to help shape CasaCuba. Some of the initiatives she is already developing include a heritage festival to help the community preserve personal objects related to the Cuban experience, and a dinner series to explore and celebrate the diverse roots of Cuban culture and cuisine. Enhorabuena para Casa Cuba y la cultura cubana. Muy buen curriculo, juventud y deseos de emprender nuevos proyectos. Le deseo éxitos en su gestión.